The captain was apologetic, the coach described their performance as unacceptable. 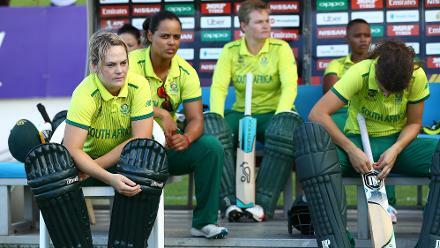 As South Africa’s journey in the ICC Women’s World T20 2018 came to a premature end, it left serious questions about the batting, writes Karunya Keshav. 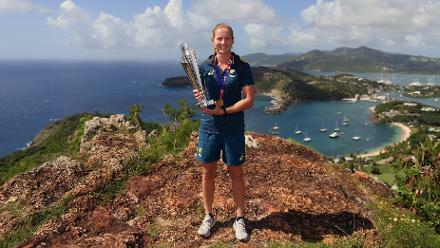 Before the Group A matches in St Lucia, the previous time Marizanne Kapp was on the island, she had figures of 3/3. “Hopefully that’s my ground,” she had said before South Africa kicked off their World T20 campaign at the Daren Sammy National Cricket Stadium. Not just with the ball, the fiery pace bowler who tops economy charts at most T20 leagues around the world, had expected to rediscover her batting in the West Indies as well. 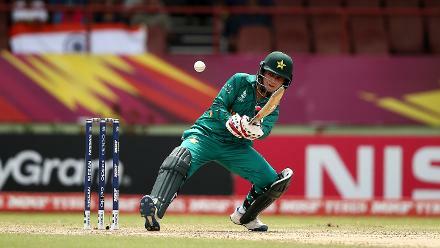 Kapp is ranked No.14 on the MRF Tyres ICC Women’s T20I Rankings for All-rounders, but, by her own admission, her batting took a backseat in recent times. 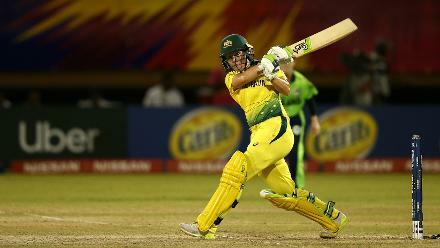 “My batting took a knock because I sort of set it aside,” she told the ICC. “The workload got just too much. In the past you could get away with it, but nowadays the amount of cricket you play, mentally more than physically it’s really tough on the body. And she did get more opportunities. In South Africa’s three matches so far, she played at No.3 for the first time in her T20I career, and top scored in two games. Heartbreak for South Africa! 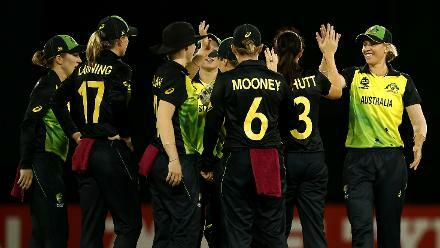 Their #WT20 journey will end in the group stage, having lost a must-win game against England. It was a step forward for Kapp, the all-rounder. But for the team, it should have rung alarm bells – that it was Kapp and not their frontline batters primarily among the runs. One their many experiments forced by a shaky batting line-up, it was not enough to keep them alive in the competition. 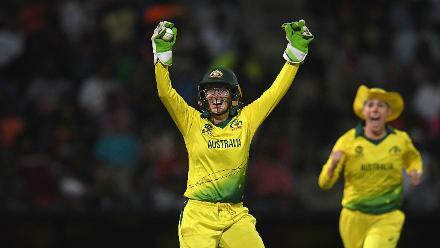 It has been a disappointing fall for a side that played with such spirit in the ICC Women’s World Cup 2017 to make it to the semi-final there, falling just short against England. On Friday, 16 November, for the second time in as many games, South Africa’s batting crumbled to a total less than 100. 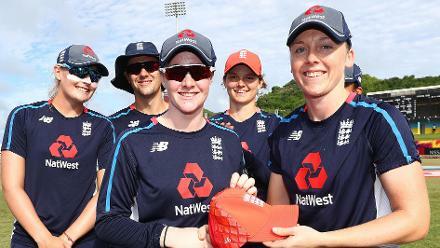 They had failed to chase 107 against the Windies, and posted just 85 against England. It meant that on their tour of the Caribbean for the World T20, including in four official and unofficial matches, they had won just one game. “We owe an apology to our whole country,” Dane van Niekerk, the captain, said after the match. “That’s not our character to roll over like that." 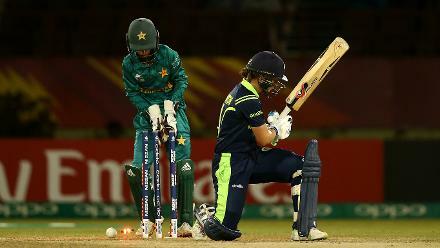 Just what has gone wrong with the batting? It’s certainly not a problem of skill. In Lizelle Lee, they have one of the most powerful strikers of the ball, and Chloe Tryon has an enviable strike rate and six-hitting habit. The likes of van Niekerk, Kapp, Mignon du Preez and Laura Wolvaardt all have the experience of playing in leagues abroad. Besides, they were one of the teams who had experience of West Indian conditions as well, having just completed a tour of the region. The surfaces here, which have something for bowlers as well as batters, gave them a better chance than flat tracks that encourage a more one-dimensional approach to batting. Yet, Lee struggled; cramped for room and faced with too many dot balls, she often lost her shape or ended up top-edging wildly. Even ridding herself off the wicket-keeping gloves didn’t help. The opening pair of Lee and Wolvaardt, so effective in ODIs, ate up too many deliveries. The middle order had their share of bad luck and their good shots sometimes found fielders, but with pressure trickling down from the top, the long tail was quickly exposed. The team has often suggested their problems are psychological. Going back home, their challenge will be to ensure the young generation of players aren’t scarred by defeats such as this. Moreeng, for one, encouraged them to quickly put the World T20 behind them.